Make payments to your account using any major credit card. Add funds to your account when you need to. Automate your Monthly plan billing. The Innomedia MTA 3328 is the adapter that provides the Flexicalls Voiceline service. Add up to two telephone lines to this device. 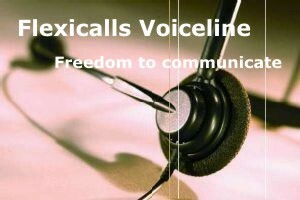 Flexicalls Voiceline is a prepaid service. You may add funds to your Voiceline account using a major credit card or pay your Flexicalls distributor directly. If you have a monthly calling plan, your account will be debited on the renewal date of your plan. It is your responsibility to monitor your account and ensure that you have sufficient funds in your account for plan renewal or calls outside your calling plan region. For your convenience we offer you the option of automatic monthly plan renewal. This option saves you the hassle of having to enter your payment information every month. You may still add funds to your account if your calling needs dictate. You may also cancel this option at anytime. Note: If your Plan renewal is overdue you need to add funds then wait until the next plan cycle renewal to start automatic monthly payments. Avoid service interruption, keep your account balance above your monthly service expenses. Click on the link below to add funds to your account.